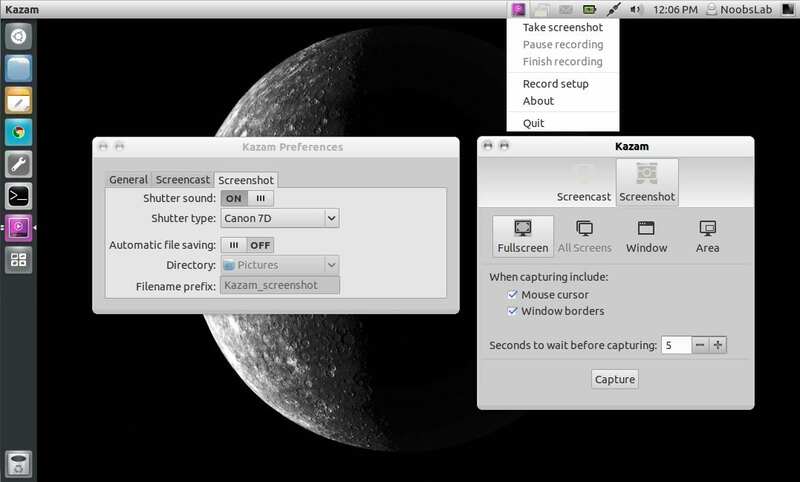 Kazam is a simple screen recording program that will capture the content of your screen and record a video file that can be played by any video player that supports VP8/Mp4/WebM video format. It also records audio from any sound input device that is supported and visible by Pulse-audio. 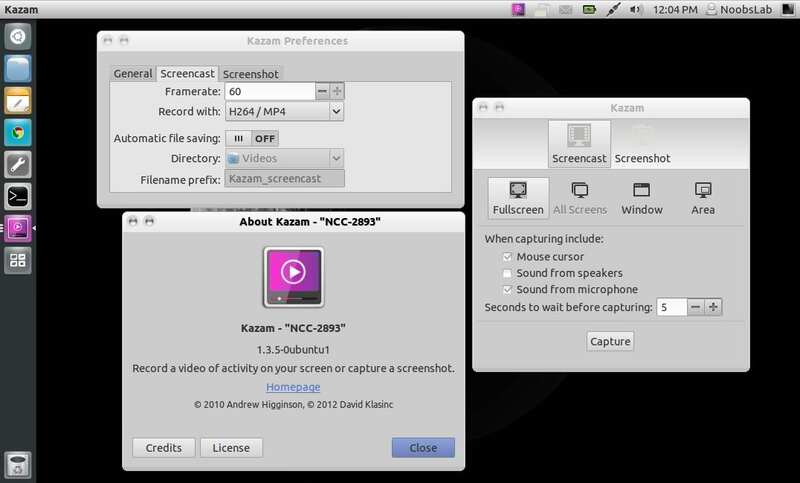 Kazam 1.3.5 support full time python 3. Support for GStreamer 1.0, older versions are no longer supported. Keyboard shortcuts are back. Still in experimental stage, but usable. Different capture modes: Full screen, all screens, area and window. With window mode you can select a window on your desktop to capture its contents. For now, this works only for screen-casting. Auto-saving of videos and pictures. By turning on auto-save every video and screenshot will be saved automatically without user intervention. Awesome theme-able shutter sound for taking screenshots, for now Canon-7D and Nikon-D80 sounds are available. Start/Stop options for indicator menu. An option to disable countdown window.